Thumbrest assembly for Yamaha 250 clarinet. Silver plated. 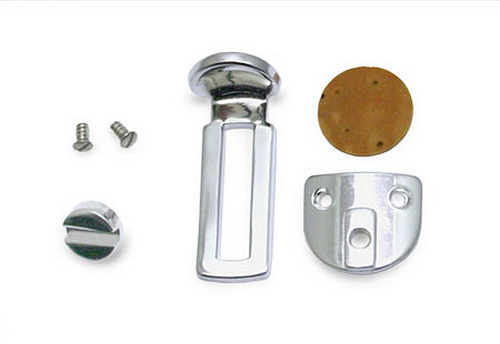 Comprises back plate with screws 11mm apart, 2 fixing screws, adjustable thumbrest, tightening screw and cork disc.